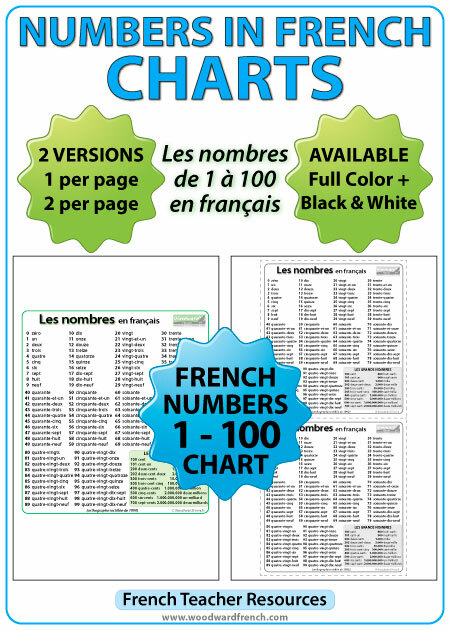 Chart with French numbers from 0 to 100. Les nombres de 1 à 100 en français. 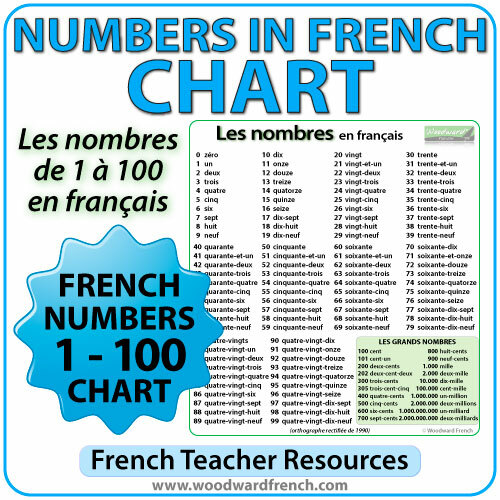 This chart contains all of the numbers in French from 0 to 100. 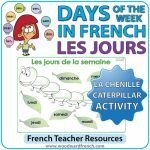 Also included in the chart are the following large numbers in the lower right corner: cent (100), cent-un (101), deux-cents (200), deux-cent-deux (202), trois-cents (300), trois-cent-cinq (305), quatre-cents (400), cinq-cents (500), six-cents (600), sept-cents (700), huit-cents (800), neuf-cents (900), mille (1.000), deux-mille (2.000), dix-mille (10.000), cent-mille (100.000), un-million (1.000.000), deux-millions (2.000.000), un-milliard (1.000.000.000), deux-milliards (2.000.000.000). NOTE: We have used the orthographe rectifiée de 1990 (rectified spelling as of 1990). For example, the number 21 is written as vingt-et-un. One is full color with one chart on the page. Another is also in full color but with two smaller charts on each page. We included dotted lines for ease of cutting. One is in black and white with one chart on the page. Another is also in black and white but with two smaller charts on each page. We included dotted lines for ease of cutting. 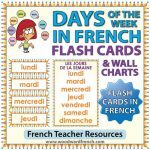 These charts are completely in French without any English on the them and they are ideal for use as a reference guide.